Through a complete series of master-lessons, the author supplies fitting answers (as practical as they are convincing) to most if not all the problems that beset the majority of students, who are victims, in degree, of false methods associated with the decline of singing and teaching in every country today. A striking feature of the book is the Introductory Lesson by Beniamino Gigli, in which the great tenor reveals his own processes of thought and action on such important aspects as breath control and vowel formation. 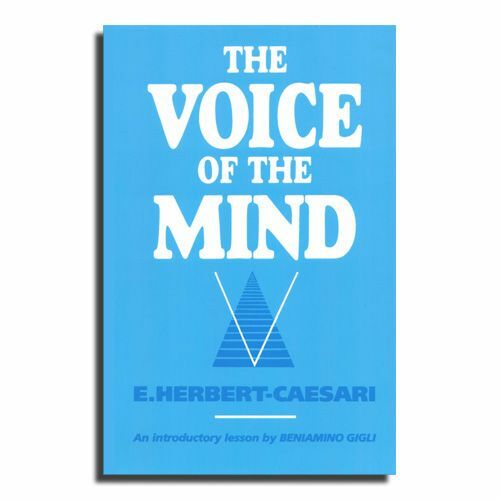 The Voice of The Mind is justly considered to be the most complete and lucid exposition of vocal technique ever published.